Famous people born on JUNE 24 can be described as a personality who loves being at home. As a Cancer, they value security and their home provides that and more. They typically don’t like anything which is not consistent. However, their love life is ever changing. To say the least, there is never a dull moment. Family is a big thing for the famous people born on June 24. Even with their faults, they try to stay close to those who show them love. They want a relationship with their family and with their soul mate to be ideal. So they keep in touch with those near and far. It may not be easy for them to share their true feelings with others though. When it comes to work, famous people born on June 24 want to be able to do a lot of things. They don’t like idle time and prefer a career that will provide them with enough money to care for their family. And of course, that does not restrict them. 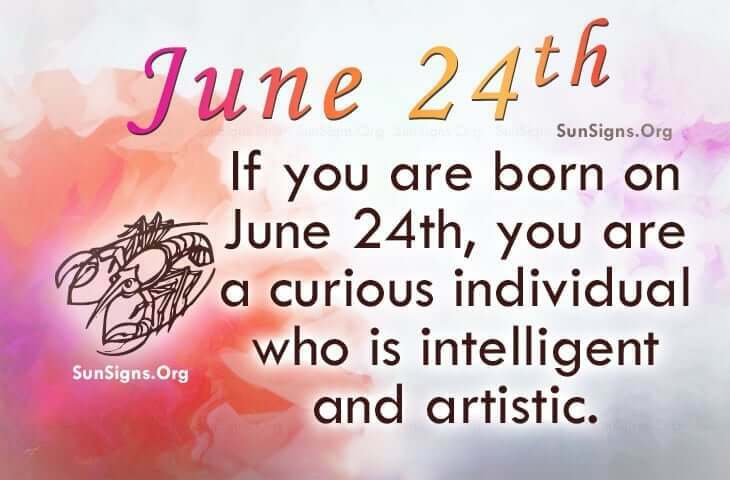 Famous people born on June 24th do not like change. Nevertheless, they can be curious individuals who are intelligent and artistic. Mostly, they possess an ambitious nature that focuses on winning. However, these famous Cancer may go over their budget.